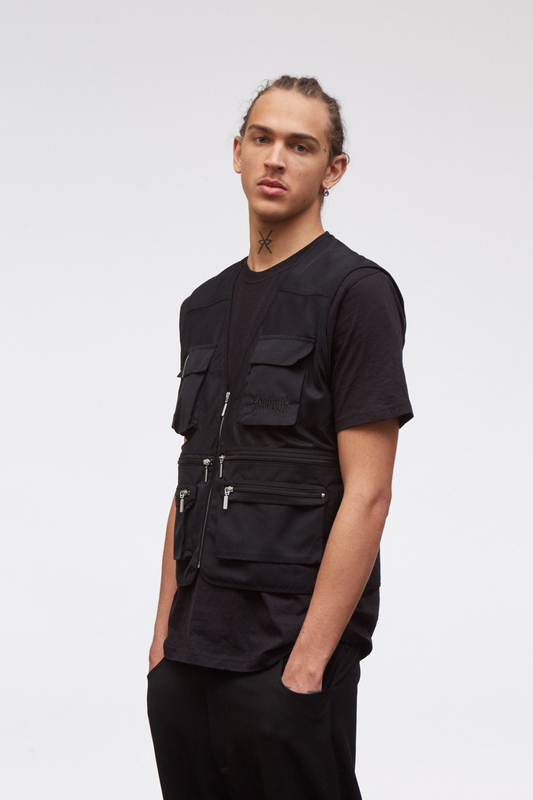 Unlined, cropped vest in fine mesh + lightweight poplin fabric. 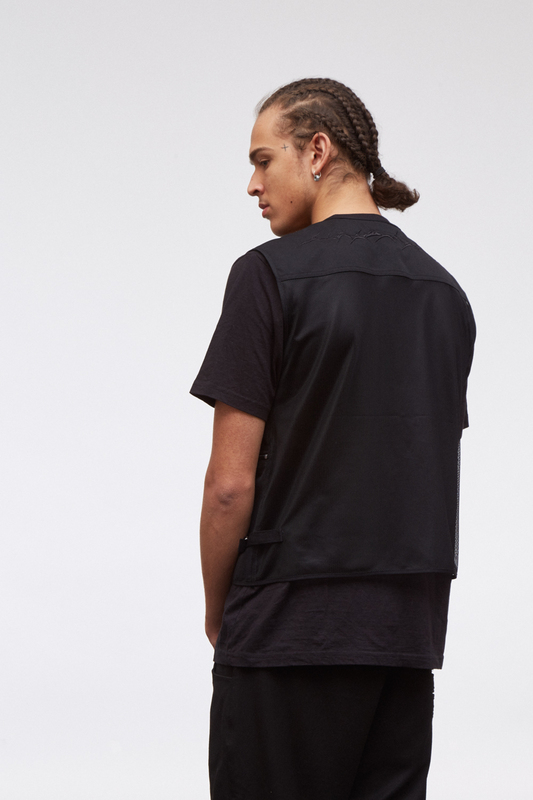 Tonal embroideries at upper back and front pocket. 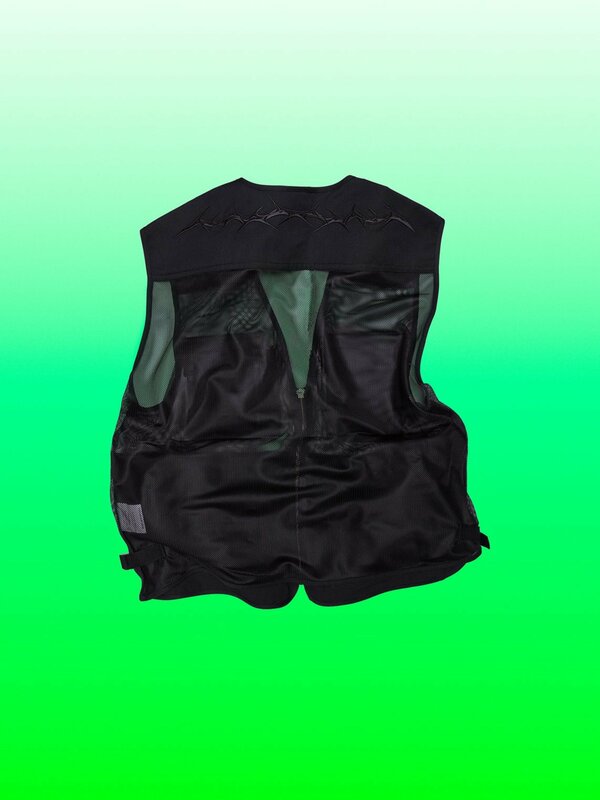 Silver finish metal zipper and trims. 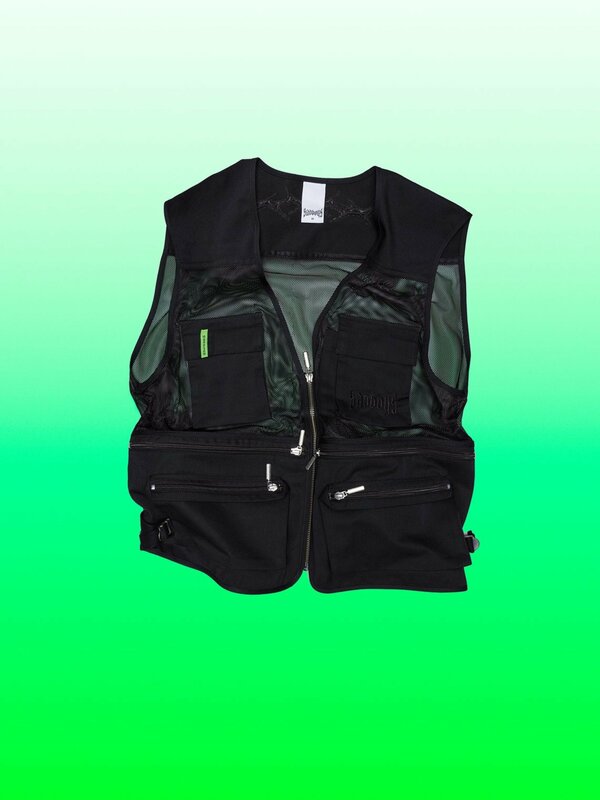 Multiple zippered compartments in front.